Our highly experienced team delivers on the promise of creating world-class experiences at a world-class value. Mr. Sartini joined Golden as Chairman of the Board, President and Chief Executive Officer in July 2015 in connection with our acquisition of Sartini Gaming through the Merger. 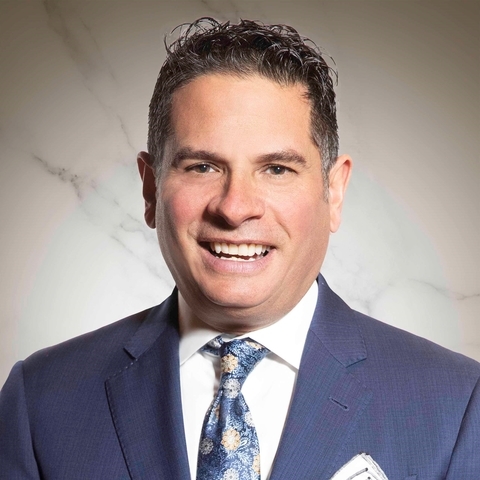 Prior to the Merger, Mr. Sartini served as the President and Chief Executive Officer of Sartini Gaming from its formation in January 2012, and as the founder and Chief Executive Officer of Golden Gaming, LLC (“Golden Gaming”), which he established in 2001. Prior to Golden Gaming, Mr. Sartini served in various management and executive positions with Station Casinos, Inc. (“Station Casinos”) from 1985 to 2001, including as Executive Vice President and Chief Operating Officer when the company first became public in 1993. He also served as a director of Station Casinos from 1993 until 2001. In 1986, Mr. Sartini co-founded Southwest Services, Inc. (the predecessor to Golden Gaming) and served as its President starting in 1993. Before joining Station Casinos, he held key operational positions with the El Cortez Hotel and Casino, as well as the Barbary Coast Hotel and Casino. Mr. Sartini is a member of the University of Nevada, Las Vegas Foundation’s Board of Trustees and was appointed to the Nevada Gaming Policy Committee in March 2014 by Governor Sandoval. Mr. Sartini received a Bachelor of Science degree in business administration from the University of Nevada, Las Vegas. 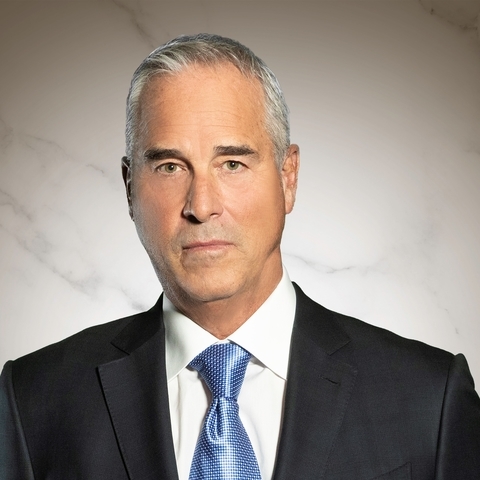 Mr. Berman previously served as Chairman of the Board and Chief Executive Officer of Lakes Entertainment, Inc., from January 1999 until the merger of Sartini Gaming, Inc. (the parent company of the Golden Gaming group) with a subsidiary of Lakes Entertainment, Inc., on July 31, 2015. Mr. Berman served as Chairman of the Board of PokerTek, Inc., from January 2005 until October 2011 and served on the board until October 2014. He served as Chief Executive Officer of Rainforest Café, Inc., from February 1993 until December 2000. Mr. Cope previously served as the President and Chief Financial Officer of Lakes Entertainment, Inc., until the merger of Sartini Gaming, Inc. (the parent company of the Golden Gaming group) with a subsidiary of Lakes Entertainment, Inc., on July 31, 2015. Mr. Cope has been with Lakes since the company was formed in December 1998. From 1993 to December 1998, he held the positions of Executive Vice President, Chief Financial Officer and Director of Grand Casinos, Inc. (the predecessor to Lakes). While at Grand Casinos, Mr. Cope was involved with the development, financing and management of eight different casino resorts. Mr. Cope has over twenty-five years of broad-based gaming resort experience with such companies as Bally's Entertainment and MGM Grand, in various operational areas such as table games, slots, keno, cage and credit, food and beverage, and hotels, along with the finance and accounting areas. He has served as Treasurer and Chairman of the Board of what was then the Bally's Employees Federal Credit Union, and President and Director of the Better Business Bureau of Northern Nevada, and has worked with many service, church and non-profit organizations throughout the course of his career. Mr. Cope is a Licensed Certified Public Accountant in the state of Nevada and holds a Bachelor of Science Degree in Business Administration from the University of Nevada, Reno. In addition, Mr. Cope holds certificates in computer programming and industrial engineering. 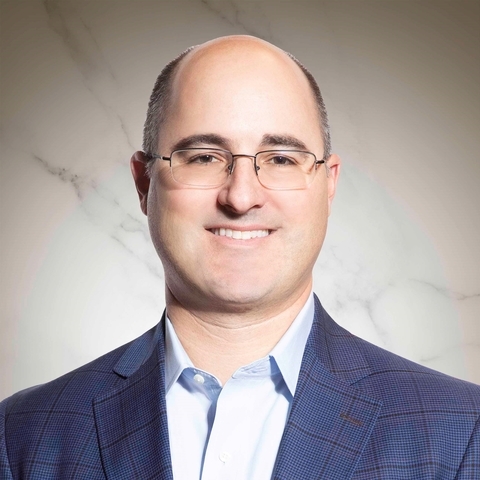 Mr. Lipparelli currently serves as the Chief Executive Officer of Gioco Ventures, a strategic advisory and product development firm serving the gaming, investment, technology and entertainment industries around the globe, a position he has held since 2007. Mr. Lipparelli also formerly represented State Senate District 6 in the Nevada Legislature, having been elected to the post in December 2014, and served on various senate committees. He has twice been an appointee to the Nevada Gaming Policy Committee. Between 2002 and 2007, Mr. Lipparelli served in various executive management positions at Bally Technologies, Inc., a gaming technology supply company listed on the NYSE, including as Executive Vice President of Operations. Prior to joining Bally, Mr. Lipparelli served as Executive Vice President and then President of Shuffle Master, Inc., a publicly traded gaming supply company, from 2001 to 2003; as Chief Financial Officer of Camco, Inc., a retail chain holding company, from 2000 to 2001; as Senior Vice President of Entertainment Systems for Bally Gaming, Inc. (a subsidiary of publicly traded Alliance Gaming Corporation), from 1998 to 2000; and various management positions including Vice President of Finance for publicly traded Casino Data Systems from 1993 to 1998. Between 2009 and 2012, Mr. Lipparelli served as a Board Member and Chairman of the Nevada State Gaming Control Board. He is a Board Trustee Emeritus of the University of Nevada Foundation, Board Member of the National Center for Responsible Gaming, and member of the International Association of Gaming Advisors and of the International Masters of Gaming Law. Mr. Lipparelli received a Bachelor’s degree in Finance (1987) and a Master’s degree in Economics (1993) from the University of Nevada, Reno. Mr. Miodunski previously served as the Chief Executive Officer of American Gaming Systems from 2010 until its acquisition by Apollo Entertainment in late 2014. Between 2004 and 2010, Mr. Miodunski served as a consultant to Bally Technologies, Inc. From 1994 through 2004, He i served in various management and executive positions with Alliance Gaming Corporation, a supplier of gaming machines listed on the NYSE, including as Chief Executive Officer from 2001, a director from 2000 and President of United Coin (a route operator) from 1994 to 1999. From 2005 to 2008, Mr. Miodunski served on the Board of Directors of Elixir Gaming Technologies, Inc., a gaming company listed on the NYSE. Mr. Miodunski received a Bachelor degree in Mechanical Engineering from the University of Missouri and an MBA from the University of Dallas. Mr. Sell has been a director of Lakes Entertainment, Inc., since its inception in 1998. He was formerly a director of Grand Casinos, Inc. Since 1968, Mr. Sell has been engaged in the practice of law in Minneapolis, Minnesota, with the firm of Maslon Edelman Borman & Brand, LLP. 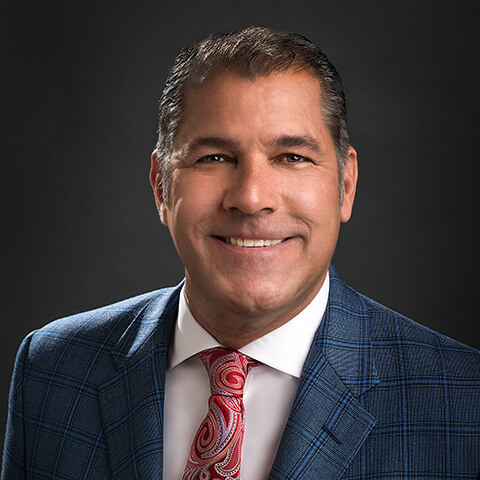 Mr. Wright serves as Chairman of the Board and majority owner of Westcor Land Title Insurance Company, a company he founded in 1991 which is licensed to issue policies of title insurance throughout the United States. Mr. Wright is currently on the board of Southwest Gas Corporation (NYSE:SWX), is an emeritus member of and past Chairman of the University of Nevada Las Vegas Foundation Board, and is the past Chairman for the Nevada Development Authority, the Nevada Land Title Association and the Nevada Chapter of the Young Presidents’ Organization. He has also served as board member for the Las Vegas Monorail, Pioneer Citizens Bank, First Interstate Bank and the Boy Scouts of America. Mr. Wright received a degree in business administration and a Juris Doctorate from DePaul University, Chicago, and is a member of the California and Illinois bar associations. Mr. Arcana has served as the Executive Vice President and Chief Operating Officer of Golden Entertainment, Inc., since the merger of Sartini Gaming, Inc. (the parent company of the Golden Gaming group) with a subsidiary of Lakes Entertainment, Inc., on July 31, 2015. From August 2003 until the closing of the merger, Mr. Arcana served as the Chief Operating Officer for Golden Gaming. From November 1995 to March 2003, he held several executive positions with Station Casinos, LLC. Prior to joining Station Casinos, LLC, Mr. Arcana held a variety of hotel operations and food and beverage positions over a ten-year period with the Sands Hotel in Atlantic City, New Jersey. Mr. Arcana received a Bachelor of Science degree in hotel and restaurant management from Widener University School of Hotel and Restaurant Management in Chester, Pennsylvania. Mr. Protell joined Golden Entertainment in November 2016 as Executive Vice President, Chief Strategy and Financial Officer. Mr. Protell spent nearly 20 years in corporate advisory and investment banking, covering the gaming, lodging and leisure sectors. He has acted as advisor to Golden Entertainment’s predecessor companies in various capacities since 2010. He acted as advisor to Lakes Entertainment in the merger transaction with Sartini Gaming, which created Golden Entertainment in July 2015. In addition, Mr. Protell previously acted as advisor to Sartini Gaming on various initiatives, including its acquisition of distributed gaming operations and casino assets from Affinity Gaming. Mr. Protell is a graduate of the University of Virginia with a Bachelor of Science in Commerce. Mr. Higgins joined Golden as Senior Vice President of Governmental Affairs and Business Development in March 2016 and was promoted to Executive Vice President of Governmental Affairs and Business Development and Chief Legal Officer in October 2016. Prior to joining Golden, Mr. Higgins served as principal of STH Strategies, a firm he founded in early 2015. From August 2011 to January 2015, he was managing principal of Porter Gordon Silver Communications, a full-service governmental affairs and business strategic consulting firm. From July 2010 to January 2015, Mr. Higgins was a partner in the law firm of Gordon Silver. Prior to that, he spent 17 years as general counsel and head of governmental affairs for a multijurisdictional gaming company. Mr. Higgins received his law degree from Santa Clara University School of Law and his undergraduate degree in business administration from Southern Methodist University. He is licensed to practice law in the state of Nevada. Get the latest company information delivered right to your inbox.